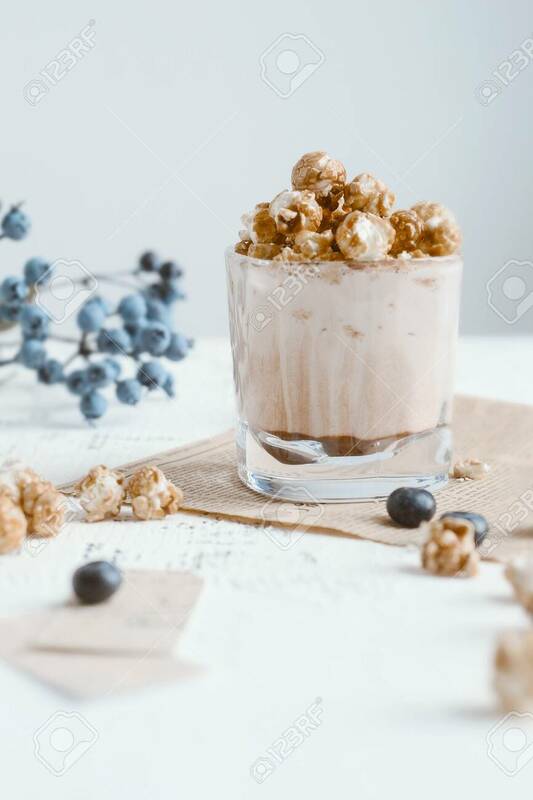 Cocoa Drink With Whipped Cream And Caramel Popcorn In Tall Glass Served In Restaurant. Cacao Milkshake, Hot Chocolate With Milk, Lavender Syrup And Marshmallow Lizenzfreie Fotos, Bilder Und Stock Fotografie. Image 118552414.